Irvine answered a few questions for us en route to the Trinidad edition of the Edinburgh World Writers’ Conference, where he will be taking part in a panel discussion on A National Literature this Sunday with Marlon James, Hannah Lowe, Vahni Capildeo and Marina Warner, which will be livestreamed here. EWWC: You’re participating in the EWWC Trinidad event next week, on a panel of 4 writers from the Caribbean and the UK including a keynote speech from Marlon James. Do you have any connections with Trinidad or the Caribbean? IW: I’ve no real connections at all with the Caribbean. I was only in Trinidad and Tobago once, in 2000, when Hibernian played a winter shutdown football tournament there. The Hibs midfield star, Russell Latapy, is a sporting hero in T&T. That said, I’ve a friend over in Tobago who I haven’t seen in a while, so hopefully I’ll hook up with her while I’m there. “The idea of a national literature gives me a headache.” – Kapka Kassabova, Brussels. So - is the concept of A National Literature obsolete? IW: It’s hard to disagree with any of the points made, they are simply alternative truths. Everybody has a different experience of this depending on their own specific backgrounds. Nationality is obviously one of those variables like gender, race, social class, religion etc that people will find either extremely relevant or not relevant at all, depending on those experiences. People from different socio-economic backgrounds will experience nationality and even trans-nationality in a different way. I have a writer friend who was educated at a private girl’s school, went to a Swiss finishing school, then on to the Sorbonne, did post grad work at Yale and took her first paid job in Sydney. I know another writer who is the daughter of Ugandan Asian refugees, who was raised in an outer London borough and who moved to Boston to work in her father’s bakery business. You talk to those women about how their (trans)nationality influences their writing, and you’re going to get very different answers. In my own case, I see a thriving national literature in Scotland, perhaps ironically because of the country’s non (or quasi) nation status. Overall, I think writers must value their independence and be very wary of being co-opted into anything governmental, whatever colour of flag is wrapped around it. Once that gets surrendered or compromised they cease to be writers and become something much less interesting. EWWC: In your speech in Edinburgh you attacked the Booker prize as “based on the conceit that upper-class Englishness is the cultural yardstick against which all literature must be measured.” With that in mind, what do you think about the recently announced list of 20 Best of Young British Novelists? IW: I haven’t seen the list and don’t know who is on it, so it would be unfair to comment. On the idea of a list itself, I think it’s probably a good thing if it gets people talking about books and writing. You can be on or off as many lists as you like, most real writers will tell you it’s pretty much irrelevant, you still have to produce the storytelling goods. I think it’s become more benign and harmless PR, as I don’t think prize or list panels are kingmakers anymore. There was a time when being awarded the Booker was perceived to set a writer up for life. In our image-driven times, that role has probably been usurped by the successful film or television adaptation of the novel. What questions do you think a World Writers’ Conference in 50 years’ time might address? IW: I would die happy if I could be assured that there would be one in 50 years time. Our species is going to face great challenges over the next half-century, and if we had the luxury of debating our culture, that would be some sort of success in itself, irrespective of what was actually talked about. EWWC: You have said that you are now living in “genuine exile” in Chicago. Do you consider yourself a permanent exile from Scotland? If you had to be exiled permanently to one of the EWWC cities – Edinburgh, Berlin, Cape Town, Toronto, Krasnoyarsk, Cairo, Jaipur, Beijing, Izmir, Brussels, Lisbon, Port of Spain (Trinidad), St Malo, Kuala Lumpur & Melbourne – which would you choose and why? IW: I think the notion of exile is a bit over romanticised. It’s a very different experience now with the net and social websites. I feel connected to Scotland and England in a way that wouldn’t be possible for somebody living in the States ten years ago. Personally, I’ve never really thought of anywhere I’ve lived as permanent. I left my mum’s house when I was 17, but still felt a tremendous sense of violation when she removed my Bowie and Iggy posters to redecorate my room when I was pushing 40. If I had to be in one of the cities, in that I couldn’t leave it to go anywhere else, it would certainly be Edinburgh as that’s always going to be home, wherever I am. Not to be able to go back would kill me. 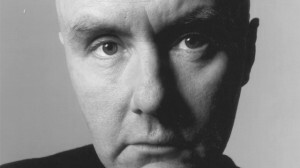 Watch Irvine Welsh and fellow panellists debate A National Literature live from the Bocas Literature Festival, Saturday 27th April, 11am AST (1600 BST), at www.edinburghworldwritersconference.org.